Diese Infografik wurde auf bpd.de publiziert und stammt vom Bergmoser und Höller Verlag. Klicken Sie auf diesen Link oder auf das Zahlenbild, um zu der Originalseite zu gelangen. Das durch Wasserscheiden begrenzte Gebiet, welches durch einen Fluss mit allen seinen Nebenflüssen entwässert wird. Es wird zwischen dem oberirdischen und dem unterirdischen Einzugsgebiet unterschieden. The HD map show catchment areas of African streams and rivers. It’s based on the Strahler Stream Order Classification System. The higher the stream order, the thicker the line. 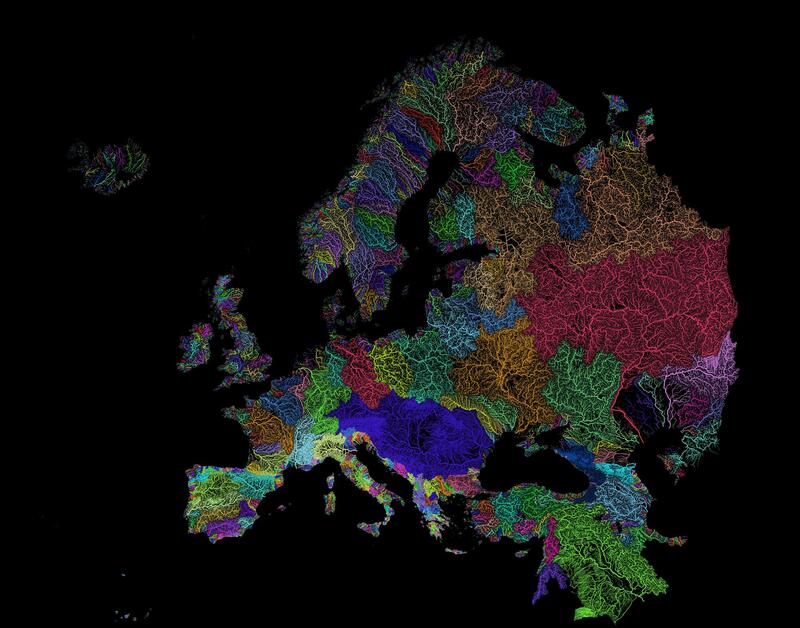 If you like this map then click on this link to get to my post with the map of European rivers and streams. And click this link to get to my post with the map of the US rivers and streams. The HD map above shows the approximately 8,000 catchment areas of Europe’s 1.2 million streams and rivers. It’s based on the Strahler Stream Order Classification System. The higher the stream order, the thicker the line. I really like this map.